Invisalign® Premier Provider ¡Se Habla Español! 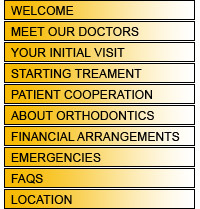 The fees for orthodontic treatment will vary from case to case. We would like to assist you in submitting claims for orthodontic benefits that you may have under your dental insurance program. It's important to understand your benefits before you begin your treatment. The total amount of orthodontic benefits and how it will be paid out depends upon your particular policy. We will accept assignment of benefits in our office so that we can be sure the insurance meets their contractual agreements on your behalf. A payment plan would then be set up with you for the patient co payment portion, which would usually be an initial payment and the balance paid over the estimated treatment time. If financing is done within our office we do not have a finance charge, but if an account should become more than 90 days past due we will assess a 1½ % late fee. We offer an auto-pay program for your monthly payments where payment is automatically deducted from a credit, debit, or wage works card or you can choose to receive a coupon book for the monthly payments. 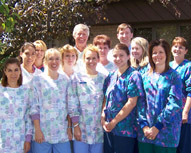 We also offer financing through Care Credit, for more information on this option call 1-800-365-8295 or visit their web site at www.carecredit.com. If treatment continues beyond the normal estimated treatment time because of the lack of patient cooperation or a change in the treatment plan beyond the scope of the original proposed treatment, additional charges may be incurred.